Ben Mantle - Illustrator/Animator: Personal work - Animal marching band. 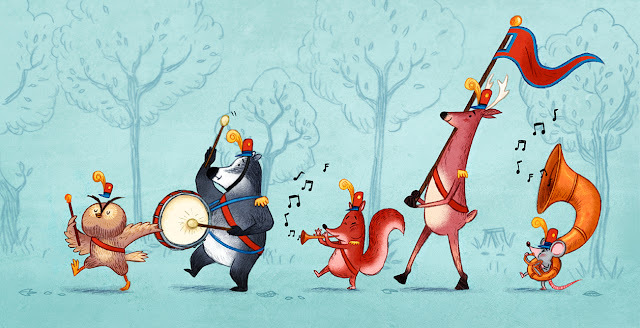 Personal work - Animal marching band. Its been a while since I have drawn something that wasn't work related and I really fancied drawing a marching band and trying a slightly different style out at the same time. So here you go. Personal work - Viking Woolly Mammoth racing.